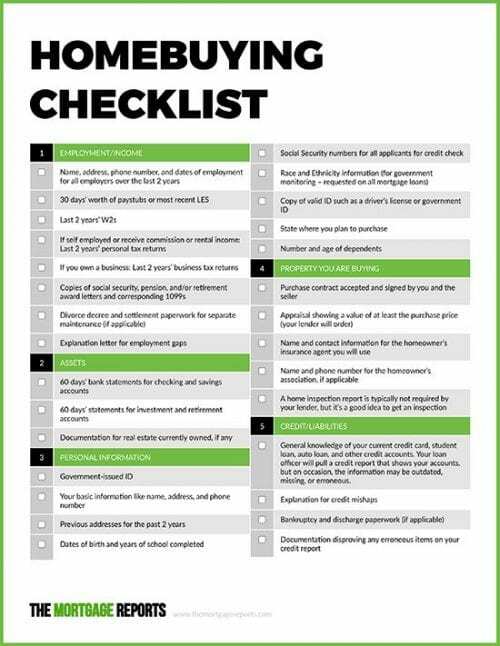 For a full breakdown of all paperwork, download our home buying checklist. It’s true that shopping and applying for a mortgage is not nearly as enjoyable as house hunting. But not shopping for a mortgage can cost you. A significant number of respondents to a Consumer Financial Protection Bureau (CFPB) survey admitted that they put off contacting a lender at all until after they had found a house to buy. So how do you shop for a lender? Check your credit and your bank account. Then contact lenders online, by phone or in person. It is helpful if you pull your credit report (for free at www.annualcreditreport.com, which is the government’s sponsored site). You can purchase your credit scores as well, which will help you give lenders an estimated credit score when you obtain mortgage quotes. They need that to estimate your rate. Lenders should be willing to provide you a Loan Estimate, worksheet or loan scenario, showing the rate and costs of a mortgage applicable to you. Be able to tell them how much you have for a down payment, provide an estimated credit score, and what you want to spend for a home. To provide a usable quote, lenders need this information. They’ll also want your gross (before tax) income and monthly debt payments to pre-qualify you for a new home loan. You really shouldn’t begin shopping for a house until you know what you can spend. Mortgage pre-qualification typically involves answering a few questions about your income, monthly debts like auto loans and credit cards, and indicating how much money you have for a down payment and closing costs. However, pre-qualification is not a commitment. The lender may not even check your credit, and won’t usually verify your income or bank balances either. Mortgage pre-approval (also called credit approval) is much better than pre-qualification, because it means that as long as the property you want meets the lender’s guidelines, you should be able to close. Mortgage lenders must, by law, make sure that you can afford your home loan payment as well as your other obligations. This is called the Ability to Repay (ATR) rule. In most cases, lenders underwrite your application using automated underwriting software (AUS), which speeds the process considerably and tells you exactly what you need to supply to finalize your credit approval. You’ll get a list of documents the human underwriter needs to sign off on before you get your pre-approval letter. If self-employed, a commissioned employee (25 percent or higher), an employee with unreimbursed business expenses or real estate income, you’ll supply at least your last two tax returns. For income that is highly variable or unusual, you may need additional years. If you own a business, you need at least two years’ business tax returns. Proof of receipt for Social Security, pension, public assistance (if using to qualify) or other income. This usually means an award letter, check stub or direct deposit. Your loan officer will pull a credit report that shows your accounts, but on occasion, the information may be outdated, missing, or erroneous. That information is incorporated into your application, and you’re responsible for its review and confirmation.